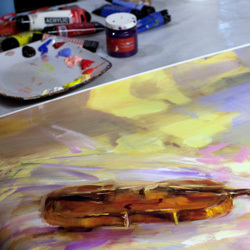 Each limited edition Giclee is hand embellished by the artist, making it one of a kind artwork. Every limited edition Giclees painting includes a Certificate Of Authenticity signed by the artist. 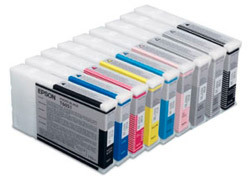 Special varnish is a applied to give each Giclees a protective finish against UV light, moisture and scratches. Giclees are stretched on wood and not framed. The edges are painted so there is no need for additional framing. The artwork is ready for display. Our process is engineered for fine art market. 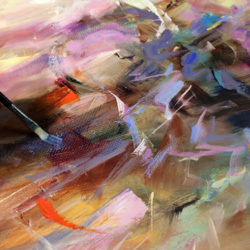 All of our Giclees have an elegant, vibrant full color spectrum and maintain the look and feel of the original painting. We take great care in the use our materials. From acrylic paints, modelling paste and ink to canvas, paper and varnish, our originals and limited edition giclees are treated with respect. This approach allows us to meet the highest standards for luxury craftsmanship. We take pride in every aspect of our artwork. "Our materials allow us to preserve the integrity of the original painting." 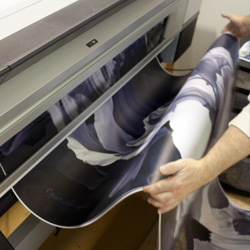 Produces archival prints with amazing color fidelity, gloss level and scratch resistance, while providing consistent stable colors that significantly out-perform lesser ink technologies. With increased coverage in red, which greatly improves the rendition of each colour making it perfect for printing gallery quality fine art prints. Consistent black and whites. Full reproductions of colour twists. Smoother shadow transitions. 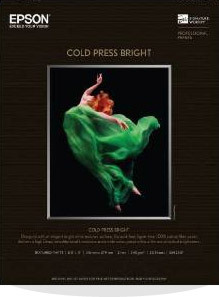 produces more constant tonal characteristics when viewed under a variety of light sources without major colour shifts. Wider Colour Gamut — With increased coverage in red, which greatly improves the rendition of each colour making it perfect for printing gallery quality fine art prints. Perfect Black & Whites — Consistent black and whites. Full reproductions of colour twists. Smoother shadow transitions. Reduced Metamerism — Produces more constant tonal characteristics when viewed under a variety of light sources without major colour shifts. This elegantly textured canvas features a semi-gloss satin surface with a bright white point, exceptionally high Dmax and wide colour gamut. Our fine art papers deliver on print quality and longevity, the two most important factors when creating limited edition prints and fine art reproductions worthy of resale. Best Image Quality — Finest in color fidelity, accuracy, the smoothest tonal transitions, exceptional black density and longevity. Durable Surface & Fast Drying — An acid free, lignin free heavyweight cotton-poly blend, this elegantly textured canvas features a semi-gloss satin surface with a bright white point, exceptionally high Dmax and wide colour gamut. High Tensile Strength — Enhanced coating to permit gallery stretching for large prints. 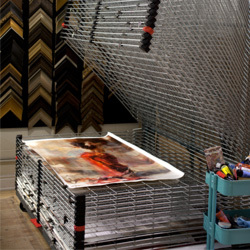 Resists cracking, making it ideal for gallery wrap stretching. 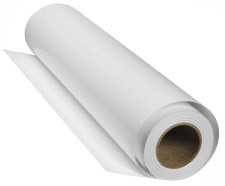 Archival print media with a white point and contrast ratio that meet the demanding requirements of fine art industry. This 100% cotton rag media with a bright elegantly textured finish provides rich, deep blacks and an incredibly wide color gamut. This fine art media is not only acid, lignin, and chlorine free, it is also pH buffered with calcium carbonate for a true archival sheet. 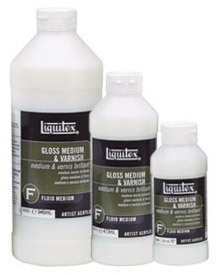 The varnish enhances the depth of color intensity, increases transparency and gloss, eases the flow of paint, and adds flexibility and adhesion to the paint film. Dries to a non-tacky, hard, flexible surface that is resistant to dirt retention. Will not crack as surface expands and contracts during temperature and humidity changes. Breathable, allows moisture to pass through.